Thanksgiving Day: to Thank or not to Thank… | Taino Woman Comes Dancing...in the spirit of Hatuey! 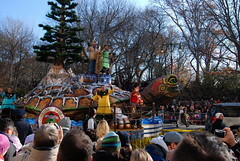 Every November, on the fourth Thursday of the month, the US celebrates Thanksgiving Day with food, drink, parades and sports. Families gather together, whether they like each other or not, to eat, drink and be merry. But this merry-making is not to be found everywhere for the day is not a celebration to many of the original peoples of this land. The school systems teach our children that this day is a memorial day of sorts. A day that commemorates the survival of the Pilgrims, the “first immigrants” to these lands we now call the United States of America. The Pilgrims are shown as a pious and humble people, a people of courage, who threw themselves into the unknown escaping religious persecution. People who trusted their God to guide them to their own Promised Land where they could practice and worship in their own way without governmental imposition nor punishment. People who, upon their arrival, grew their own crops and hunted their own meat under the guidance and direction of the Natives. People who, after their first successful harvest and hunting, shared the bounty of the land with their indigenous teachers in the spirit of friendship and generosity, and thus, together, celebrated the very First Thanksgiving. This beautifully embroidered fairy tale is what is taught to our children as American History. And because the American School System teaches children to parrot and not question, this lie has become unalterable truth to many adults today. Not many people are aware that the Pilgrims had already escaped persecution by abandoning England and settling in the Netherlands, where the laws were more tolerant of people’s religious choices. They are likewise, unaware that the decision to come to the Americas was not due to religious persecution, as taught in schools, but to maintain the purity of their people, their religion and their ways of life. They were called “Puritans” and “Separatists” for a reason. Worldly temptations were tearing the congregation apart. Their young people were leaving left and right pretty much for the same reasons they leave churches today: moving elsewhere seeking employment and social allowances. It’s interesting to note how the same tolerance that allowed them to practice their religious beliefs freely in the Netherlands, were then seen as a threat to their belief system and lifestyle. Additionally, the idea that the Pilgrims were throwing themselves into the unknown is a deception that boggles the mind, especially in view that the Europeans had been present in the Americas since the 1400’s. Spain, Portugal, France, England and even the Dutch people they lived among, all had settlements up and down the American continents. The Pilgrims weren’t ignorant of the Americas nor of the fact that they would more than likely have to remove the native population so as to build their own encampments. As a matter of a fact, one of their first actions upon arrival to the Americas was the ransacking of native food stores and goods from indigenous graveyards… a little detail that is not quite mentioned in history class. Another thing I don’t recall from my American History lessons was how the Pilgrims almost all died out their first winter here. Oh, Mrs. Rodriguez taught that the Pilgrims suffered hardships, but the fact that almost half of them (if not more) died the first winter of starvation and diseases was not mentioned. This does contradict the idea that the Pilgrims were generously sharing the bounty of the land with the Natives since you don’t have much food to share when you’re starving. And how many of them would actually survive to sow the harvest if all the Natives did was teach them what to plant, when, how and where? It makes more sense that the Natives shared the fruits of their own hunts and cultivation labors with the Pilgrims, saving their lives from certain death, and THEN taught them how to survive by cultivation and hunting. This is not exactly the way Thanksgiving and the stories of the Pilgrims of Plymouth Rock are taught in school. 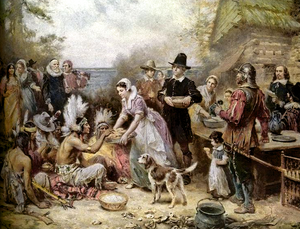 I also find it incredibly interesting to see how the school system completely skips over the betrayal of the native people by these same immigrants and how the following feasts of Thanksgiving, including those held by George Washington and other American leaders of note, were celebrating the elimination of the indigenous people from their own lands by virtue of murder, slavery and indiscriminate massacres. Needless to say, the spin given any information will affect the perspective of those to whom it is eventually fed to. It’s also important to keep in mind that history is written by the victors who will always reflect themselves in the best of light, even if the truth has to be glossed over a little and “facts” and “perspectives” become flexible. But it’s just a holiday! Some may say that this is ancient history and we cannot live in the past. 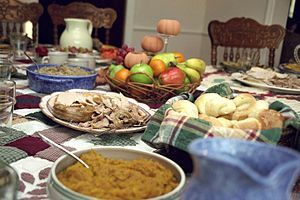 That the spirit behind the idea of Thanksgiving is a good one, an excellent reason for a day off, a party and time shared with family and friends eating good food and giving thanks to the Creator for life and all the blessings that are bestowed upon us. I pretty much agree with most of these comments, with exception of the first sentence, which I have addressed in another post. When it comes to parties, let’s face it, any excuse is a good one to pump up the music, cook some good food and get down with the peeps. And the fact is, many natives do celebrate Thanksgiving. That having been said, expressing gratitude is not something that was invented in the US, is limited to the American people, nor even to religious views. The sense of gratitude and the desire to express it has been present since people have been aware enough to be grateful. Heartfelt gratitude is part and parcel of a holistic worldview, spiritual and psychological healing, and has even become an expression of common courtesy and good manners with “please” and “thank yous” as expected parts of our daily vocabulary and interactions. Some give gratitude daily with personal offerings in nature, communion with personal or public altars, and charitable donations and gift giving. Others do so in daily or mealtime prayers, and yet others pray several times a day… Point is that gratitude, giving thanks to the Creator or any Higher Power, can and is done on a regular basis and is not limited to a people nor a federally recognized holiday. Regarding the day off, heck, who doesn’t enjoy a day off from work? Especially one where we share a wonderful feast, with delicious foods that are prepared especially for this day, with people that we may only be able to share with during these few days taken off from work due to governmental sanctions; days off that might even be paid for! Who doesn’t like all that? At this point in time, my own feelings on celebrating the “Thanksgiving Holiday” are ambivalent, conflicted. On the one hand, the history discussed is not my own. By the time the Mayflower set off English shores and settled into Plymouth colony, my people, the Taino, had been suffering the ravages of colonization for almost 130 years. By the 1600’s, my ancestors were being written off official population counts and in this way, we were being written out of history. By the time the Wampanoag were sharing deer and turkey with the starving colonists, we were already being convinced we didn’t exist. Yes, Thanksgiving, with the details taught and particularly those that are omitted, commemorates the betrayal of the gestures of friendship and goodwill offered by the natives of this country which were abused of by the immigrants time and again. Yes, this day celebrates lies, genocide and a belittling and dehumanizing attitude towards the native population of the American hemisphere that continues to this day. Yes, this is enough for many indigenous people to refuse to celebrate it. And because it is a federal holiday, we are quite often forced to take the day off from work or have services refused in it’s commemoration. Yet, the fact still remains, that he horrors that occurred to the indigenous people in the mainland had been going on in our own lands for well over a century. So the ceremonies of Thanksgiving don’t have the same emotional effect on me as other holidays have had, like Columbus day, for example. When it comes to celebrating Thanksgiving, I don’t feel the need to criticize those natives who choose to celebrate the day with food, music and a convivial air. Not only do our indigenous relations on the mainland have good reasons to be grateful, but we, as Taino, have much to celebrate! Our continued presence against all odds, our survival against extreme adversity, and the joy of having our blood lines and cultures continue, even in the face of the horrors of conquest and genocide is a wonderful reason for festivity. By the same token, I don’t feel the need to condemn those who do otherwise and choose to embrace this day as another day of sorrow, honoring those fallen with solemn reflection, fasting, prayers, sweat lodge and other ceremonies. This subject is a personal matter who’s options are best left to the individual to choose for themselves what they feel is the good and right thing to do. So far, I have experienced this day as both a celebratory holiday and a solemn day of mourning and I still cannot make up my mind how I wish to continue to recognize it- or if I even wish to continue recognizing it at all! As a celebration, the day is happy, there is the joy of sharing a feast with friends and family, the circle gathering where the history is discussed, and the prayers done to honor those relations who suffered this occurrence. Accordingly, as a day of mourning the opposite is true. The family still visits and there are prayers and discussion of the history, but the attitude tends to be brooding and heavy and food is limited and generally offered to the children. So, to those who celebrate the day: “¡Buen Provecho!”. Enjoy your meal and enjoy the company of those you love most. And to those who mourn it: my prayers join yours. May the Creator blanket restless spirits, both living and dead, in peace.